Treat your water your way. We offer customized aeration solutions - from in-pipe reaeration to lake and lagoon depths to activated sludge and aerobic digestion - capable of instantaneously increasing dissolved oxygen when and where you want it. We can assist in all stages of the project process: designing, testing, training, start-up and even providing O+M and aftermarket needs throughout the life of your product. Our team is here to help you every step of the way. No job is too big or too small for BIG. Our technology can achieve maximum transfer efficiencies in as little as one foot of water, giving you additional flexibility throughout your treatment process. The more efficient your water treatment system is, the more money you save. Luckily, BIG has an industry-leading 98% transfer rate, designed to treat your water and reduce your costs simultaneously. With BIG, you’re in good company. 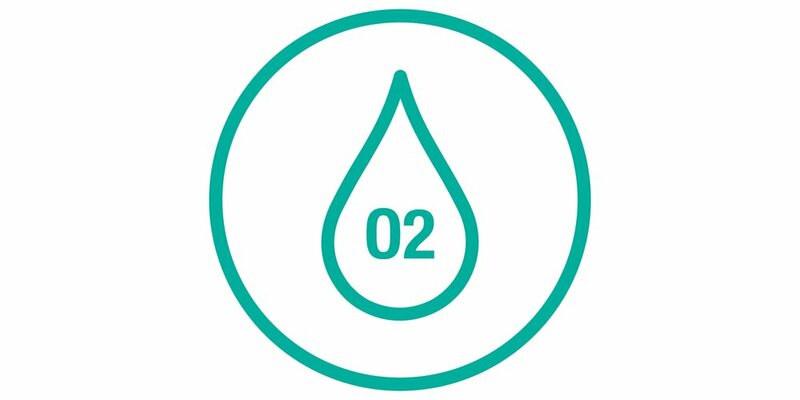 We directly partner with multiple oxygen gas storage and feed providers to offer a fluid, streamlined purchasing process. With BIG, you get it all. 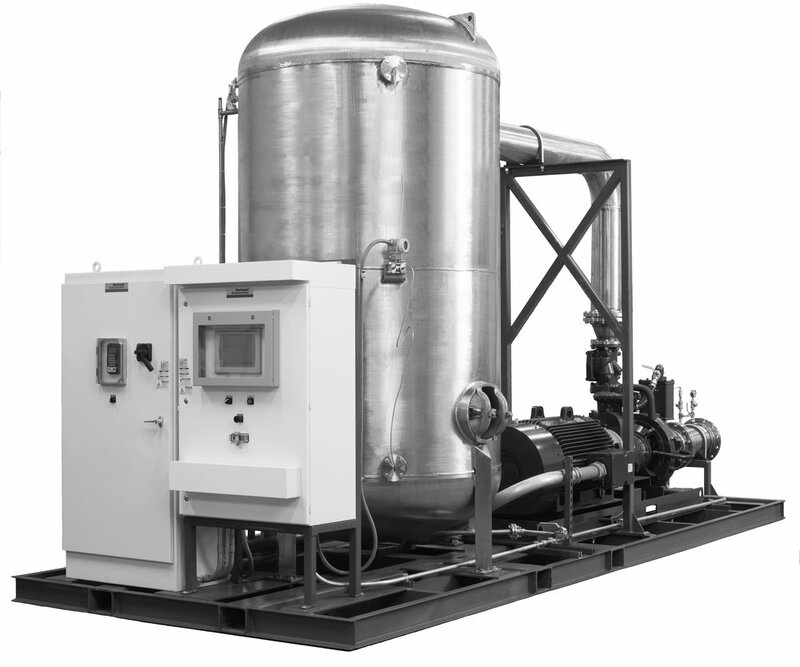 Our fully integrated and skid-mounted units include pump/motor, VFD, control panel with PLC and HMI, multiple operation modes and all associated piping, valves and instrumentation. We stand behind our technology. Every unit is factory-tested by our expert team of technicians and engineers at our U.S. manufacturing facility to ensure your equipment works both before and after it’s installed. Tenkiller Dam and US Army Corps of Engineers (USACE) officials installed BlueInGreen’s dissolution technology in order to provide more dissolved oxygen (DO) and ultimately foster a greater fish population. After installing the SDOX®, officials and fisherman at Tenkiller Dam saw the trout population rise alongside the dissolved oxygen levels, increasing and maintaining aquatic life for seasons to come. Despite increasing temperatures, the SDOX® provided an ideal habitat for Tenkiller's trout population, preventing fish kills in Oklahoma's hot summer months. While constructing a new water treatment system, a cheese production facility in Colorado was forced to redesign its industrial process in order to meet new state legislation, which called for a 6-mg/L dissolved oxygen (DO) requirement in accordance with the National Pollutant Discharge Elimination System (NPDS) permit. Despite limited space, the facility was able to complete construction at the new water treatment plant and consistently met the DO levels required by the NPDS permit. The SDOX® also fit perfectly in the plant’s budget, reducing operational costs in both the short and long term. With the number of taste and odor complaints increasing in recent years at Lake Thunderbird, the Oklahoma Water Quality Standards (OWQS) classified the 5,349-acre reservoir as a Sensitive Water Supply and a Nutrient Limited Watershed, requiring the reservoir’s water quality to be continuously monitored. Since its installation, the SDOX® has consistently improved water quality at a lower cost than other competing technologies, while simultaneously reducing taste and odor complaints. Though still surveyed by the OWRB today, Lake Thunderbird is projected to be lifted from state sanctions in the near future. At the Paul R. Noland Water Resource Recovery Facility, the plant’s National Pollutant Discharge Elimination System (NPDES) permit, as issued by the Arkansas Department of Environmental Quality (ADEQ), requires a DO discharge of 7 mg/L through the months of April to November and 9 mg/L from December to March. After introducing the SDOX®, the plant easily exceeded the required DO level, and the savings provided complete project payback within four years due to the reduction in operational costs. Over a five-year span, the SDOX® reduced oxygen consumption, decreased energy costs and saved Noland over $180,000. The retention ponds at the Camaloch Golf Course were consistently plagued with algae blooms due to high nutrient loading. The loading, caused by runoff from fertilizers, consumed much of the available dissolved oxygen within the ponds and greatly diminished water quality on the course. BlueInGreen’s SDOX® provided the Camaloch Golf Course a cost-effective solution to curb its algae blooms, a common problem seen at golf courses across the country. However, the SDOX® can be customized to treat nearly any body of water – from shallow streams to deep lagoons and even industrial applications. Established in 1991, Industrial Fluid Management (IFM) is a water and wastewater treatment company, serving both industrial and municipal markets. With the help of BlueInGreen’s SDOX®, IFM was able to increase DO levels to at least 20 mg/L in a series of several lagoons across the Midwest. After piloting the SDOX and recognizing the technology’s potential, IFM began representing the SDOX® in its product line. As a result, the firm has begun implementing BlueInGreen and its oxygen, carbon dioxide and ozone dissolution technologies into more applicable projects and installations in the near future. Officials at the University of Arkansas Technology Development Foundation were in need of a cost-effective method of preventing the formation of odor-causing compounds and controlling nutrient levels in a retention pond near their facility. 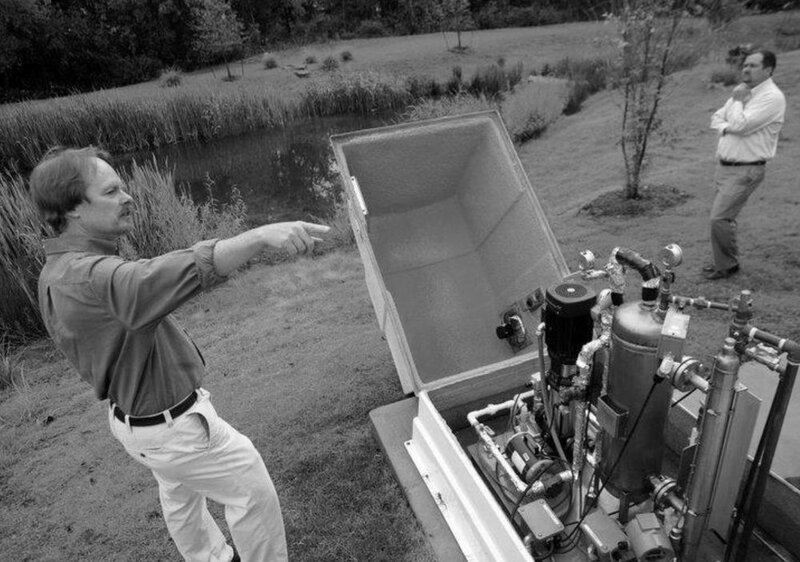 In order to accomplish this task, tech park officials elected to inject the pond with dissolved oxygen (DO) to maintain insolubility and facilitate biological treatment of nitrogen. The SDOX® met all short term goals by controlling the retention pond’s water quality despite unnatural organic loading into the system, caused by pollution. Because of BlueInGreen’s dissolution system, officials at the University of Arkansas Technology Development Foundation were able to prevent odor complaints, control nutrient levels and maintain DO levels at a fraction of the cost.